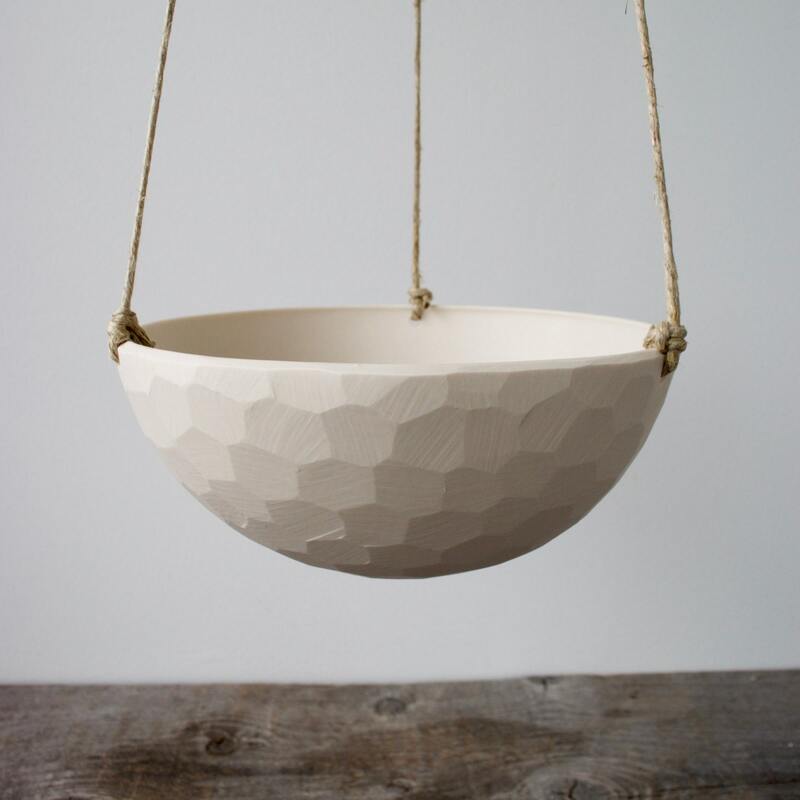 Perfect for the modern home, this white, porcelain, hanging planter features a faceted or smooth surface paired with a hemp or leather cord. Perfect to use for succulents, pothos, spider plants or any other trailing variety of houseplant. 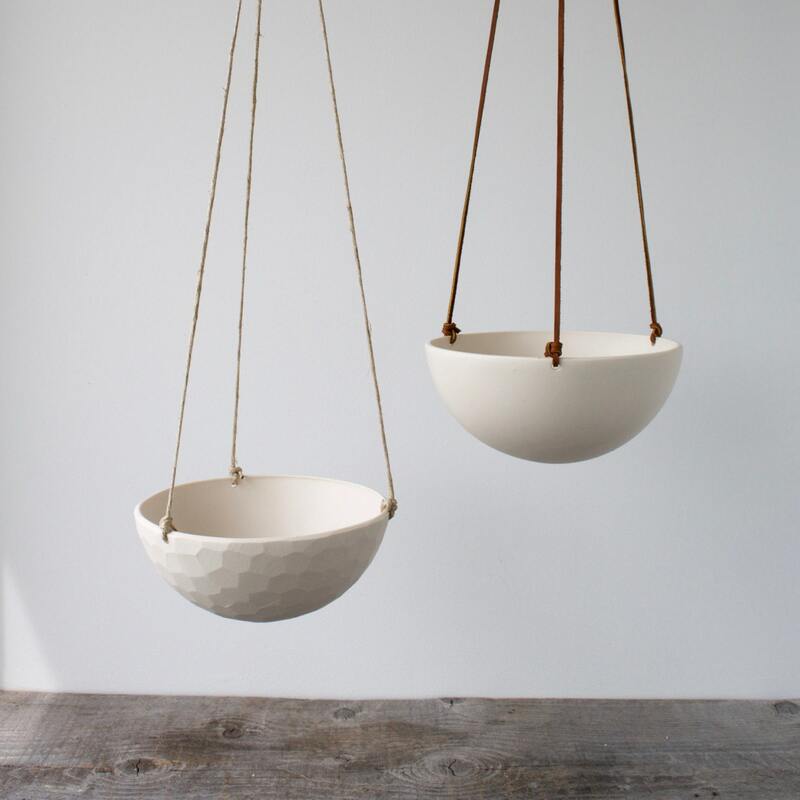 First, the planter is slip cast from fine porcelain, then fired to cone 6 or 2232 degrees Fahrenheit. The planter is unglazed leaving a beautiful matte surface. The porcelain is however fully vitrified making it watertight. Drainage holes are available for outdoor use. *Please consider selecting without drainage if you are going to be hanging this indoors. It's quite inconvenient to water indoors with drainage holes in the bottom of the pot. Most plants will do just fine without drainage as long as you don't overwater. 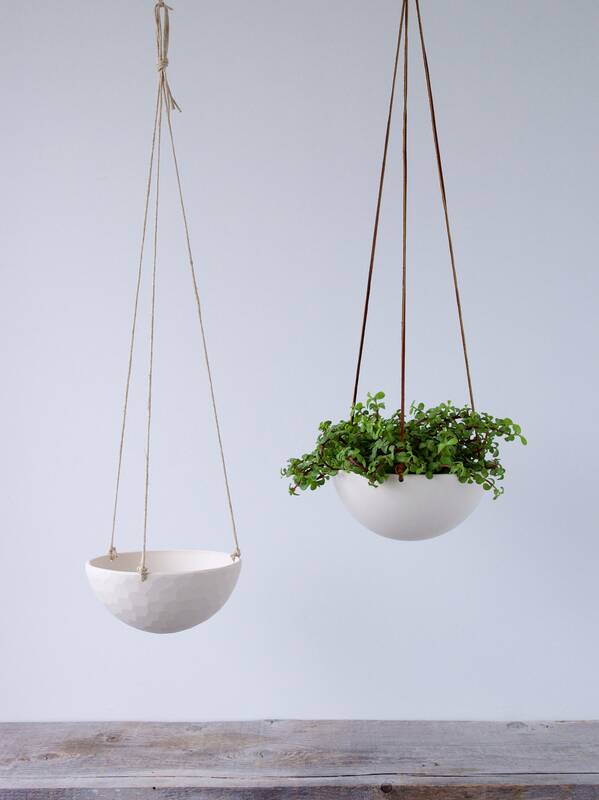 Perfect for hanging directly from a ceiling hook or from a planter hook mounted on the wall. 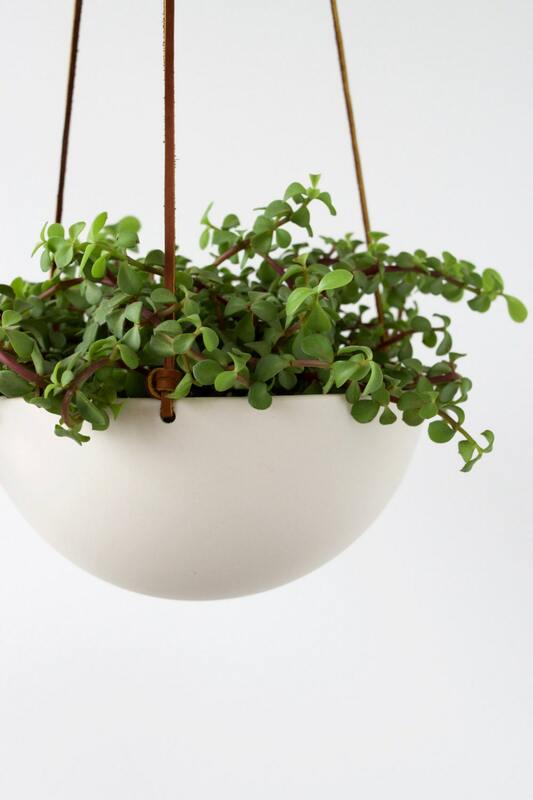 This planter is PERFECT for a 1.3 Quart houseplant as shown here.